Every car guy with a garage dreams of owning a lift, but not all of us have the room for one. Sure, there are small and even portable lift options that don’t require a ton of space, but for those times when you want full access to the underside of your car with the wheels supported, ramps are the ticket. 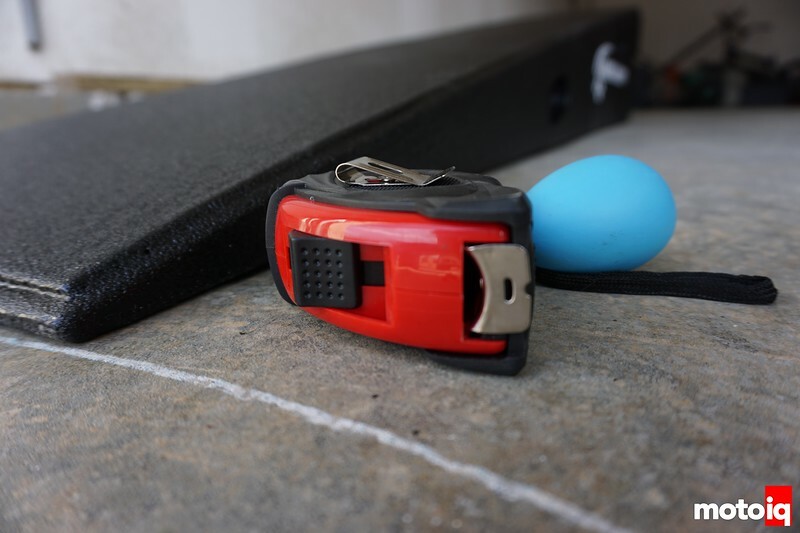 Speaking from experience, however, I’ve never had much confidence in the plastic ramps you can pick up from chain stores, and those can cause a hassle when it comes to getting both ends of the car up, let alone the limited ground clearance they offer. 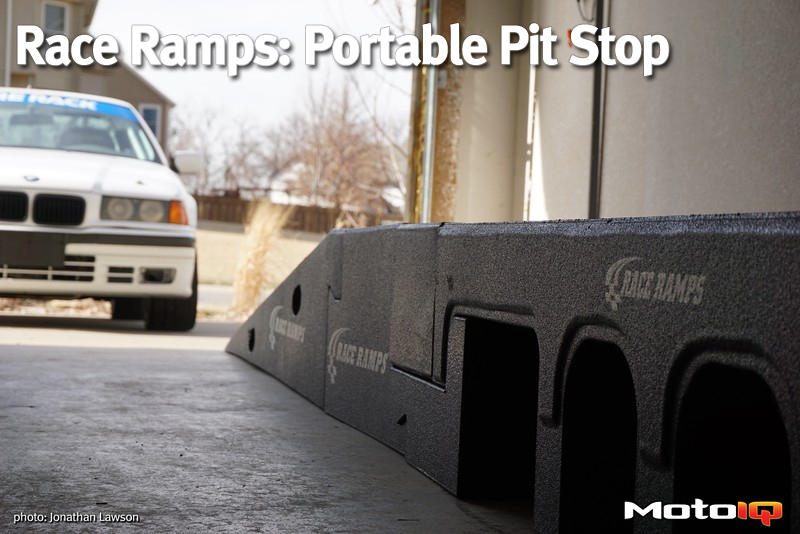 Enter Race Ramps! Race Ramps are in a whole other league compared to your garden-variety garage ramps that move around, bend (if plastic), and rust (if metal). It may sound frightening the first time you really process the information, but Race Ramps are made of foam. No, that’s not a typo, but this isn’t your grandfather’s foam… This is high-density, 100% solid-core foam. That makes the individual pieces incredibly light, but they’re also incredibly strong and virtually indestructible. 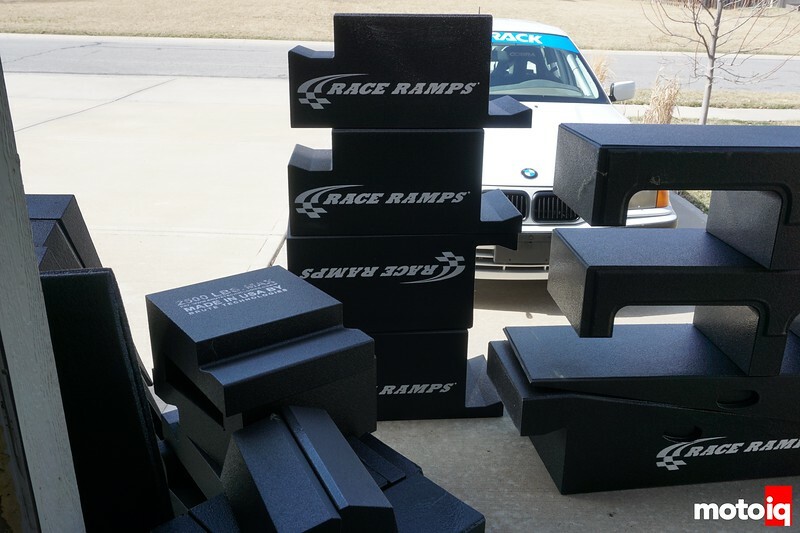 We got our Race Ramps through SparkPlugs.com, and they can be easily stored in a prearranged puzzle to fit nicely against a garage wall, but they’re also ideal for leaving down semi permanently. For the lazy among us, that saves time from setting up when you actually use them, so they’ve evolved into a constant raised parking spot in my garage. Of course, even with a car in the garage that has the same exact footprint, I chose to wait for the delivery of our new team race car before measuring the floor for placement. Last-Minute Racing isn’t just a fun name for our World Racing League endeavors, it seems to be a fairly accurate description at times. Setting the Race Ramps up correctly takes nothing more than a tape measure to ensure you have the exact wheel base and width set properly; they’re adjustable for wheelbases from 90 to 115 inches. Since my son wanted to help with the layout, chalk proved to be the perfect approach, and with spring on the horizon, why not a sidewalk chalk Easter egg? Works for this garage team! All lined up and ready to test our placement, you can see the various blocks in place. 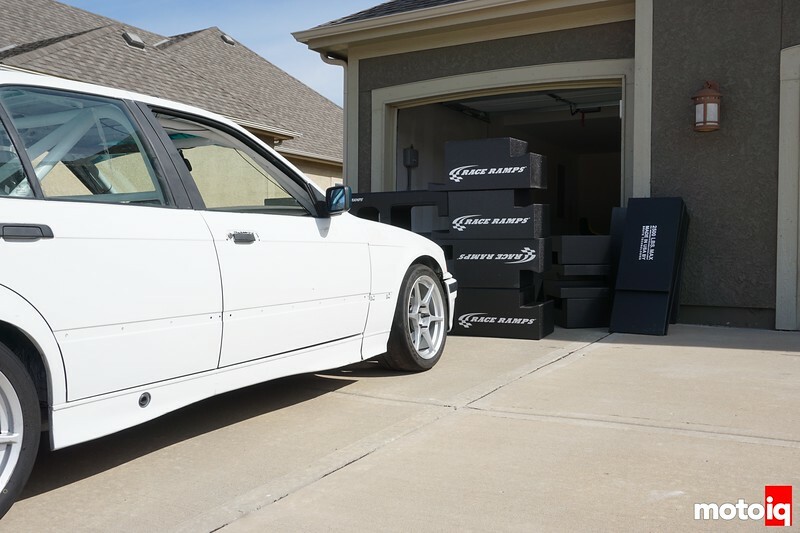 Because the Race Ramps are designed to work with an abundance of vehicles, you can customize the length to ensure the proper and safest placement of the car when parked. 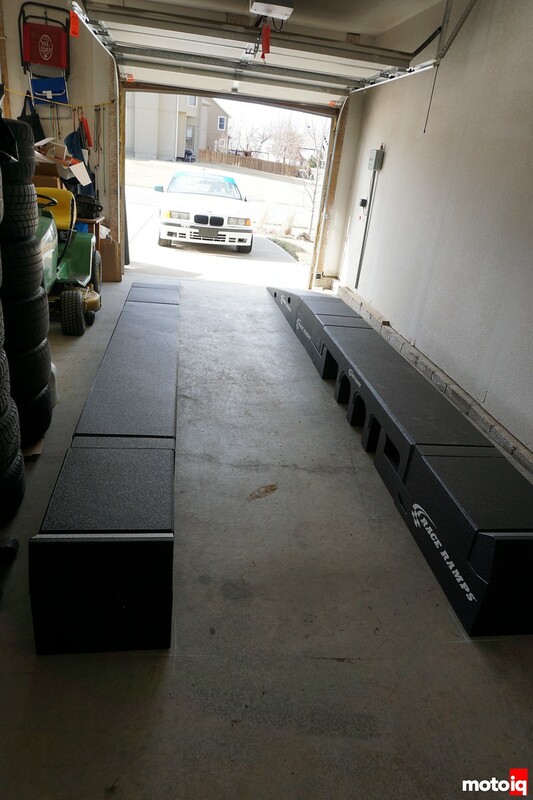 And since E36 BMWs aren’t the biggest cars in the world, we have several additional blocks set aside for other cars that need to ride the ramps. No, the John Deere off to the side hasn’t made its way onto the ramps yet, but maybe for the next blade change.